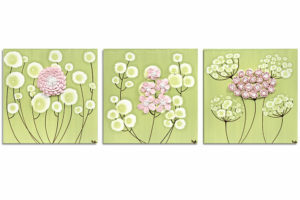 This nursery wall art is one of Amborela’s most popular paintings. 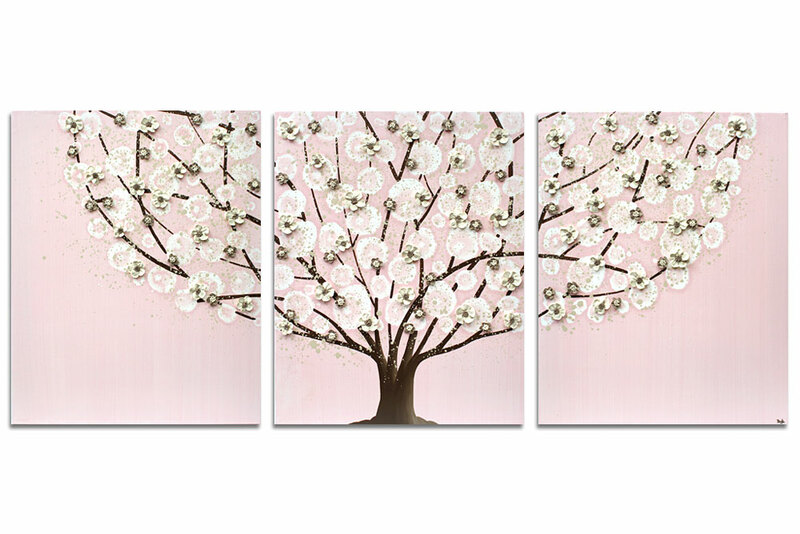 Hang this lovely tree as a focal point in your pink and brown nursery. 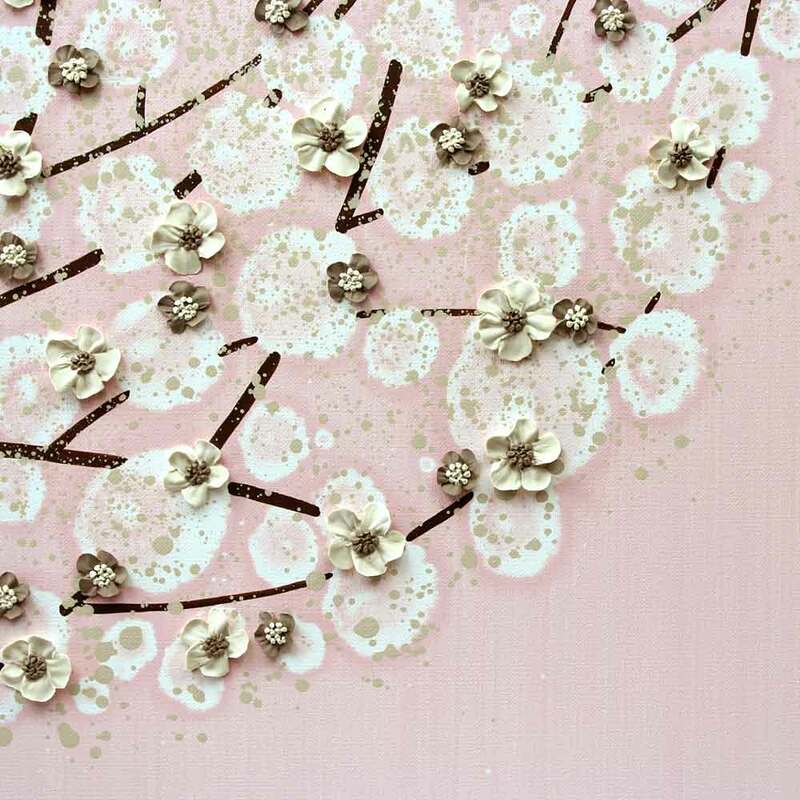 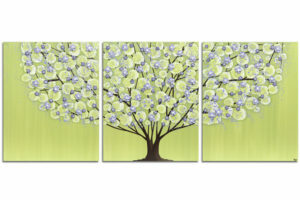 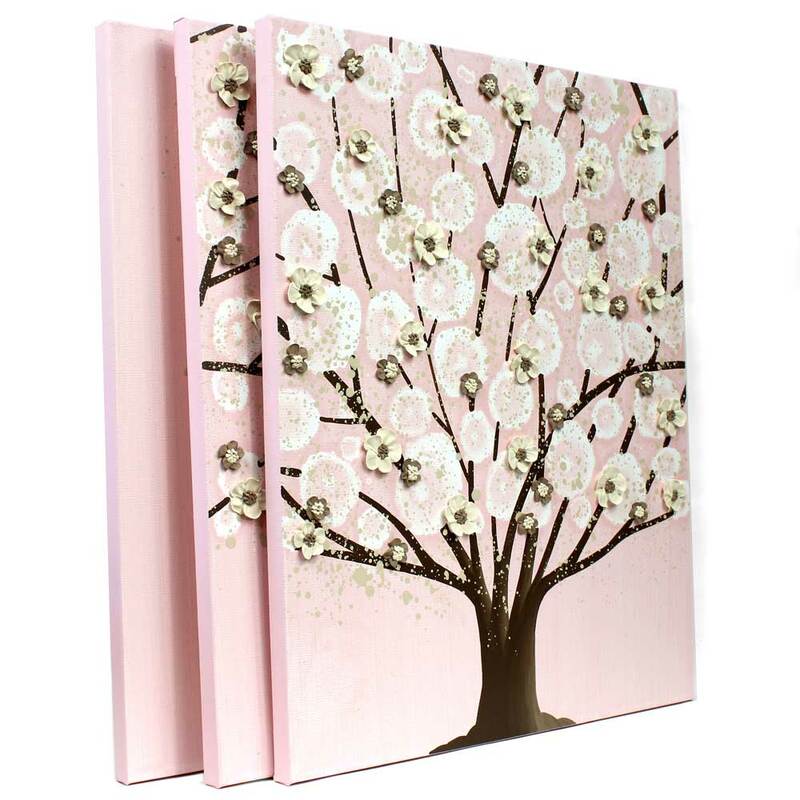 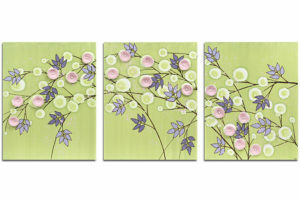 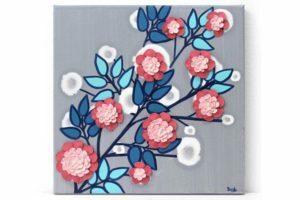 The tree is blooming with hand-sculpted, textured flowers on three canvases. 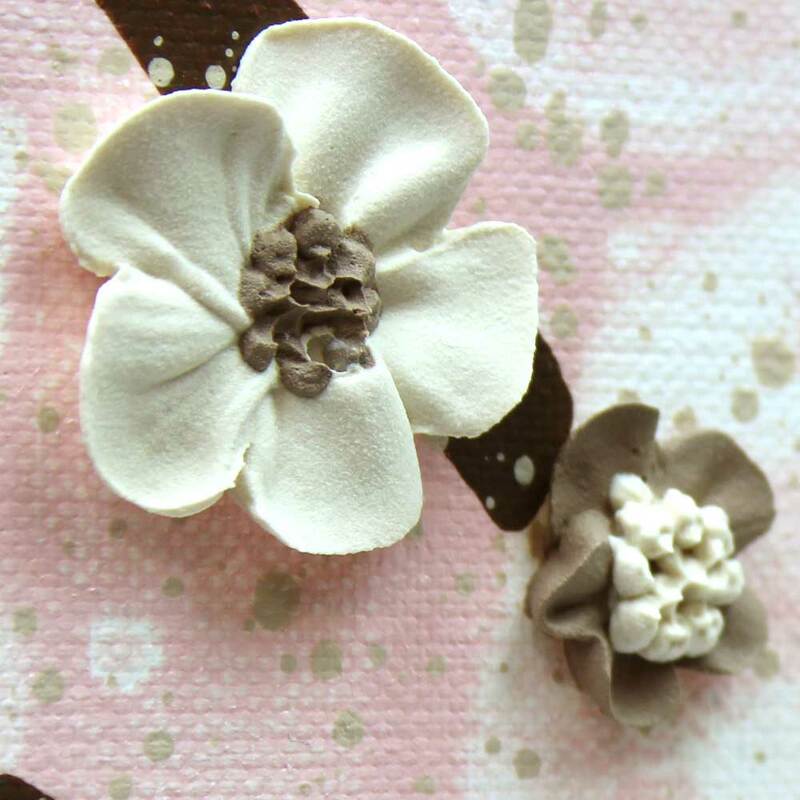 Coordinates well with white or dark wood nursery furniture finishes. 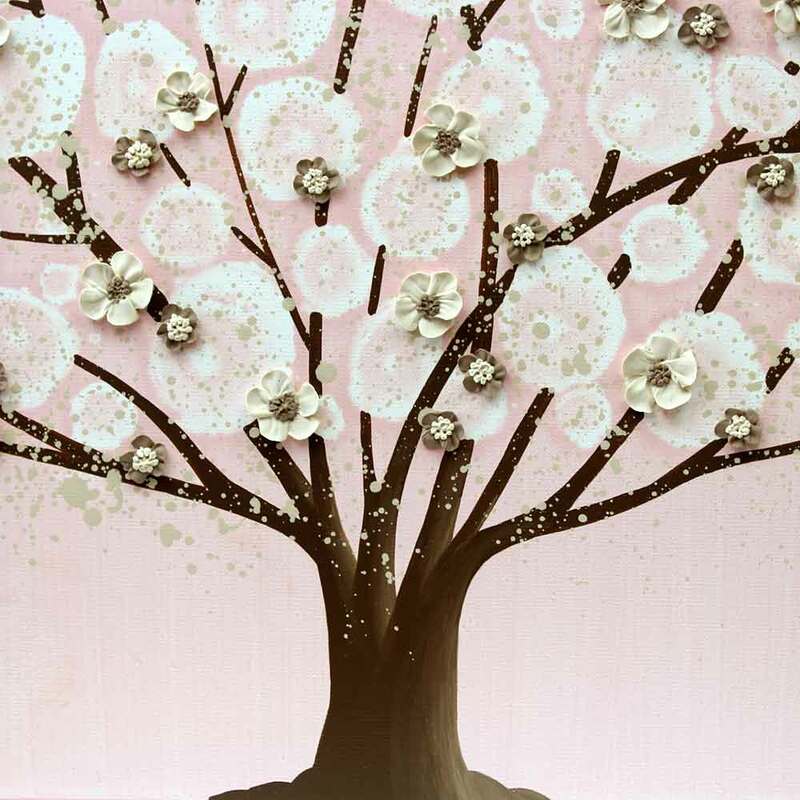 If you painted your nursery walls pink, try the khaki and pink tree painting instead.